Mr. and Mrs. Claus have been in a relationship for decades! It is only obvious why they are so comfortable using the restroom and bathing in the same room. 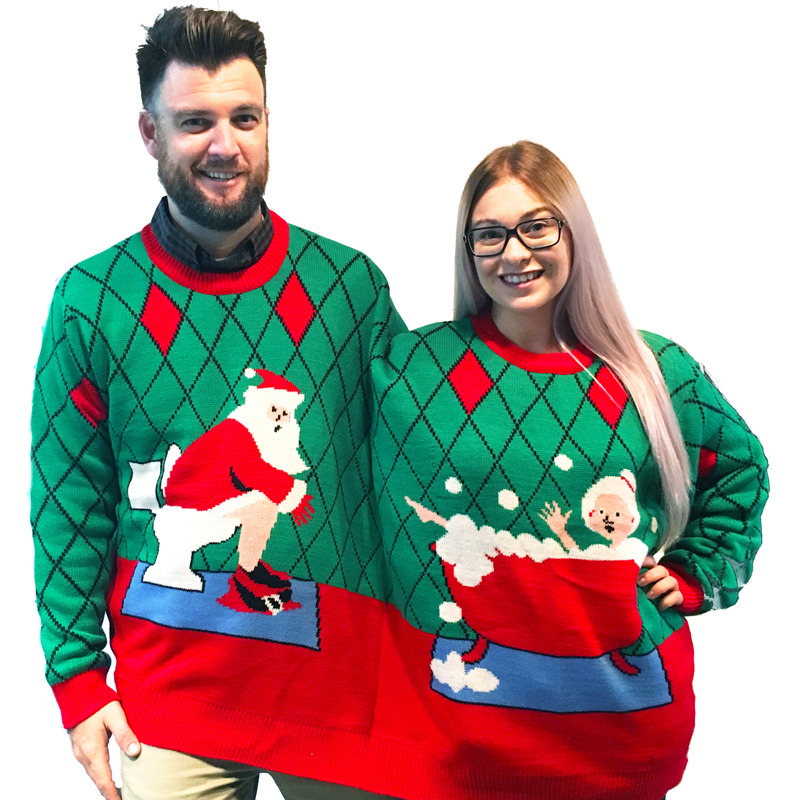 Just like this jolly couple is comfortable sharing things, we hope sharing this sweater with your significant other (or best friend) doesn't shed one drop of shyness. 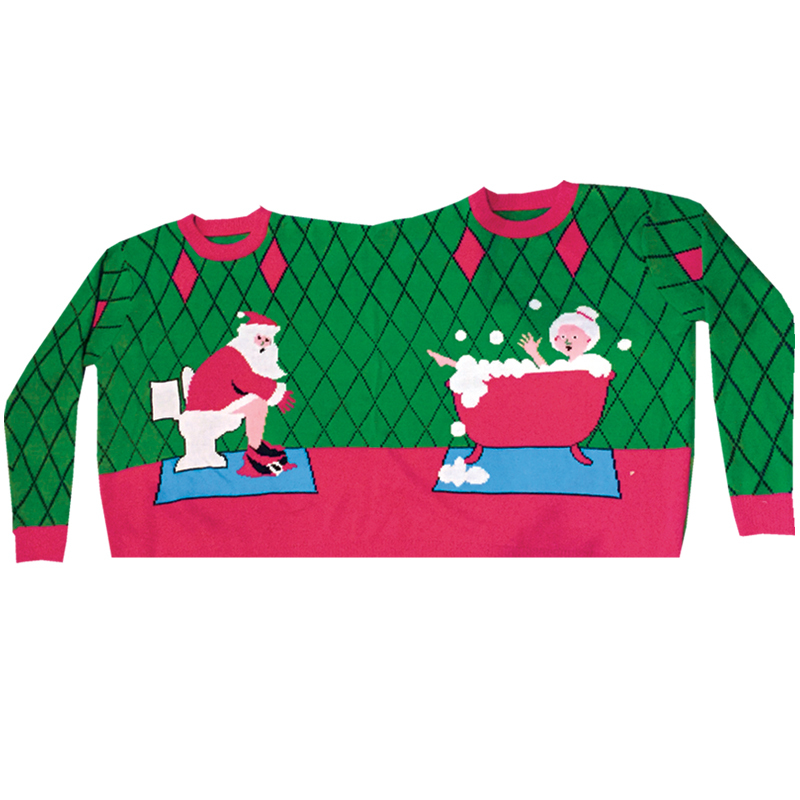 This sweater is great for couples and parties. One size fits most.